Hey look at that. I've used my relatively new graphic design degree to get me a legit job with a real company! 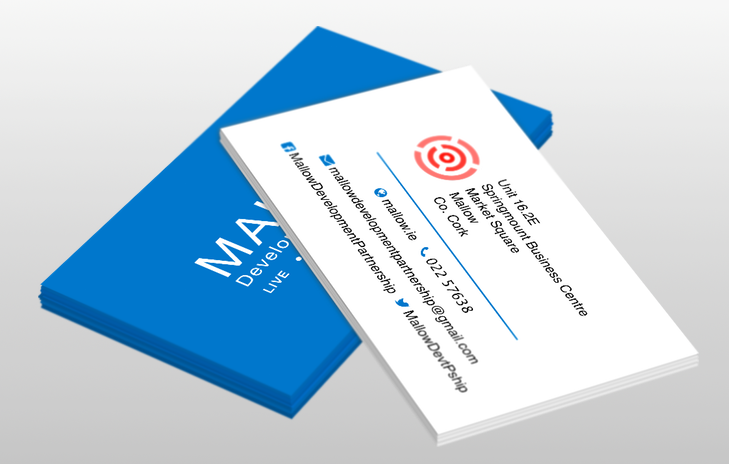 Mallow Development Partnership (mallow.ie/) hired me to create their business cards. I had to rework their logo and provide suggestions for their yet to be created corporate identity guidelines. But I like doing things like that. I'll pickup the physical cards tomorrow so I only have a mockup to show below.